Orthodox Christian clergymen have long beards. They wear flowing robes. Priests and Bishops wear large ornate crosses of gold or silver on their chests. Sometimes the crosses are adorned with precious jewels. Hierarchs carry staves and wear hats with long flowing veils in the back. Clergymen are required to wear a black robe to all church events and monks must wear them everywhere. The main reason for the robe is to show separation from the world, and the color black represents death to the world in accordance to Christ's commandment. Other color robes are sometimes worn during certain seasons/feast days. For example, white robes are worn during Easter for the resurrection. Seeing as these outfits have largely remained the same since the medieval period, they often look like characters from fantasy books and video games when the untrained eye sees them. 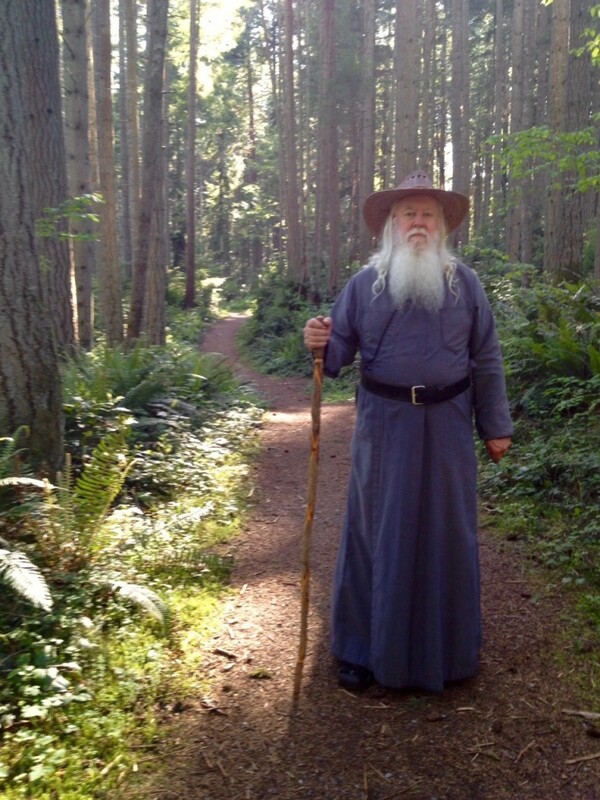 Abbot Tryphon, a Gandalf look-alike and abbot of All-Merciful Savior Monastery on Vashon Island, WA, of the Russian Church Abroad (ROCOR), explains that the long, flowing robes and beards that characterize Orthodox monks and priests actually help them spread the faith. Sometimes, the outlandish “look” sparks recognition; sometimes - curiosity; sometimes - conversions. Father points out that fantasy can be a great medium for explaining the “magic” of Orthodox theology and values to a bored world that just isn't interested in dry moralizing. And so, while Western clergy has all but abandoned their traditional dress (I myself have seen Catholic nuns wearing jeans and uncovered hair), Orthodox monks continue wearing their unearthly outfits, silently preaching the living, unchanged faith of Christ. Fr. Tryphon says that small children who look at him, exclaim “Look, a Wizard!”. Can you blame them? Check out his amazing five-minute video about this and more! Do you agree with Fr. Tryphon? Are you absolutely charmed by his Tolkien vibes? For any coffee lovers out there, the monastery sells a spectacular blend of coffee beans! Try them out, and tell em’ Russian Faith sent you!